Online pharmacy Netmeds.com is in advanced stage of discussions to acquire Pluss, a hyperlocal drugs delivery startup, owned by Alpinismo Online Ventures Pvt. Ltd Company. The combined entity is expected to take on rival 1mg, an online marketplace for medicines. Pluss' existing investors IDG Ventures India, Singapore's M&S Partners and US-based Powerhouse Ventures will all receive stakes in Netmeds, The Economic Times reported citing unnamed sources. Messages and email queries sent to the founders of Netmeds and Pluss did not elicit a response at the time of filing this report. Pluss had raised $1 million (Rs 6.65 crore) in pre-Series A funding from its existing ventures in November 2015. The firm allows users to order medicines, baby care, pet care, personal wellness and daily essential products through its on-demand delivery app. The firm was launched in 2015 by BITS, Pilani graduate Atit Jain, former Bharti Airtel executive Madhulika Pandey, and IIT-Bombay alumnus Tarun Lawadia. In October last year, Netmeds received funding worth $50 million (Rs 325 crore) from healthcare focused global private equity firm OrbiMed, with participation from existing investors MAPE Advisory Group and CEO and founder Pradeep Dadha's family investment fund. Other online pharmacy startups that have been in the news are Zigy, 1mg and CareOnGo, to name a few. Last month, Zigy, founded by former Infosys director and IGATE CEO Phaneesh Murthy, said it was scaling back its operations due to paucity of funds, but does not intend to halt operations. Online drug marketplace 1mg secured funding from Swiss investment firm HBM Healthcare Investments in May this year. The investment was an addition to the startup's Series B funding, which the company had raised in April. Maverick Capital Ventures, and existing investors Sequoia Capital and Omidyar Network invested $15 million (Rs 100 crore) in a Series B round in 1mg. In April 2016, Careongo, which runs a chain of co-branded online pharmacies, secured pre-Series A funding from Farooq Oomerbhoy of FAO Ventures and a group of other investors. 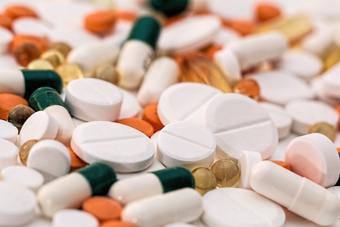 Online drug startups have been facing regulatory hurdles as the Drug Controller General of India has put a restriction on the sale of medicines online. However, startups in this segment claim that the regulator's warning has not affected their business.